One of the best things about this house is that it is surrounded by fruit trees. And when I say surrounded by them, I really mean it. In our yard we have a cherry tree, an apple tree, a peach tree, a plum tree and right next door (with branches hanging over the fence into our yard) is an apricot tree. No lie. Oh, and there are some grape vines in our yard too. Boy, if I were any kind of a cook, I'd be making jam 24/7. As it is, I'm content just to eat the fruit. And seeing as how each tree ripens at a different time, we've got fresh fruit all summer long - and right into fall as well. 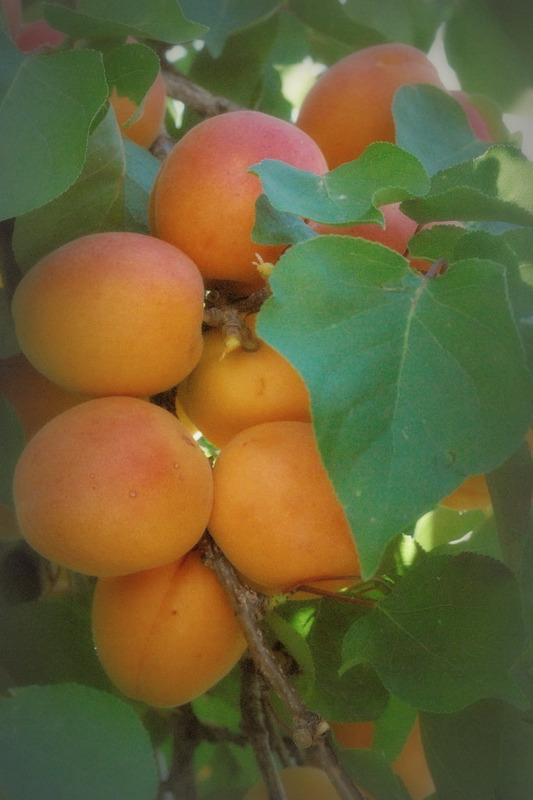 A few weeks back, the apricot tree that hangs into our yard hit its peak. 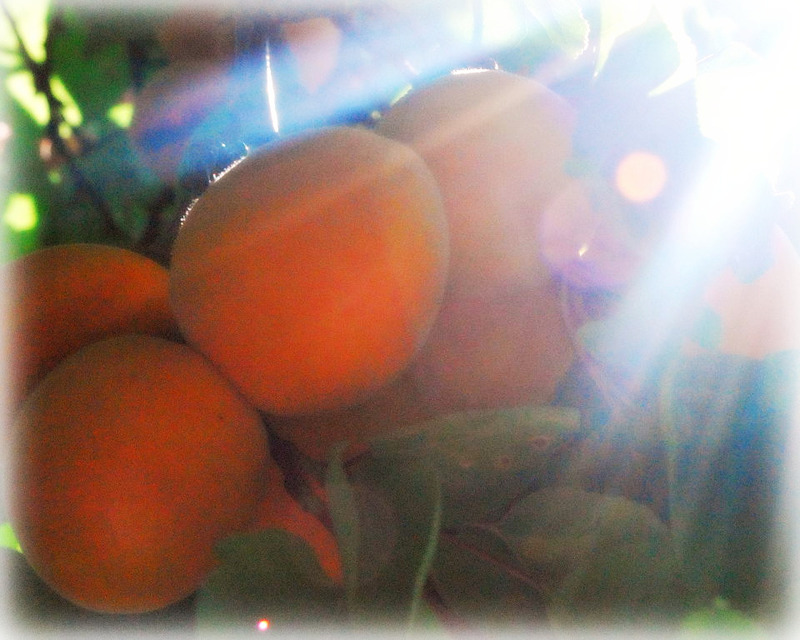 Apricots weighed every branch on that little tree down heavily with their soft orange-y skins whispering that it was time to pick them. Luckily, our neighbors begged us to pick any fruit that happened to be growing on our side of the tree, and naturally, I was happy to oblige. Let me tell you, there is nothing like fresh-from-the-tree fruit. My kids devoured those apricots with a greediness I didn't know they had in them! Luckily, however, I was able to save a few for my amazing apricot chicken salad. Now, as I said, I'm not a fabulous cook. I cook because my family thinks they have to eat. ;-) But I make a mean salad. And this one is no exception. I always start with bagged salad mix - mostly because I just hate chopping and washing lettuce- usually of the romaine variety. Then I add chopped summer squash, diced tomatoes, and sliced avocado. And finally, a generous amount of sliced apricots. 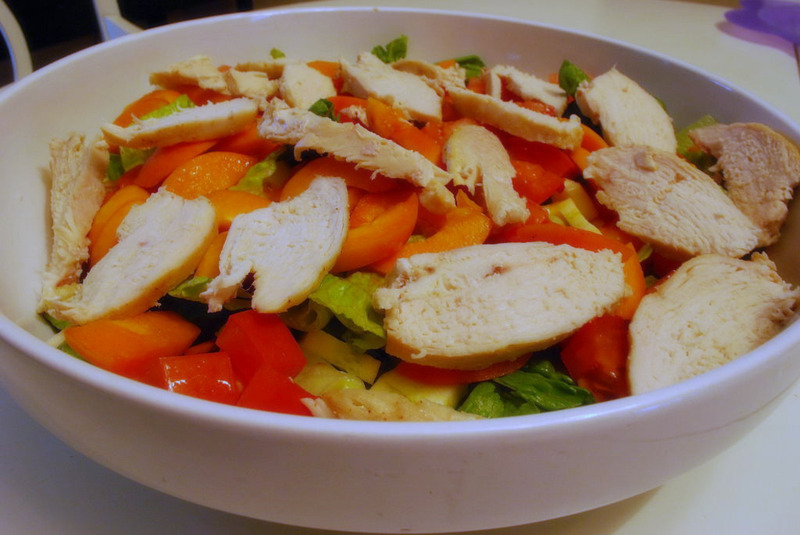 I serve this salad with a Sweet Vidalia Onion Vinaigrette. It's so easy, and simply perfect for summer entertaining. And seeing as how my peach tree is just now filling up with plump, ripe peaches...this salad can be easily switched from apricots to peaches in a pinch. You get the same sweet surprise from either fruit. Mmmmmm. I'm off to check that tree! We don't have apricots, but we do have a peach tree. I'll have to give this a try. I love main dish salads!! You are one lucky lady! My first thought was "man, I wish I had all that growing here. I would be using it for jam". Your salad sounds great too! You are so blessed to have so many fruit trees. Sounds like you be canning and preserving a whole lot. Wendy! I am SUCH a salad girl! This sounds delicious! Love this post. I will be saving this recipe :) Let you know how it turns out!! Hugs! that salad looks yummy! enjoy! My mouth is absolutely watering! I am a salad FREAK!! I will definitely hafta try this one...can I come and pick some apricots? 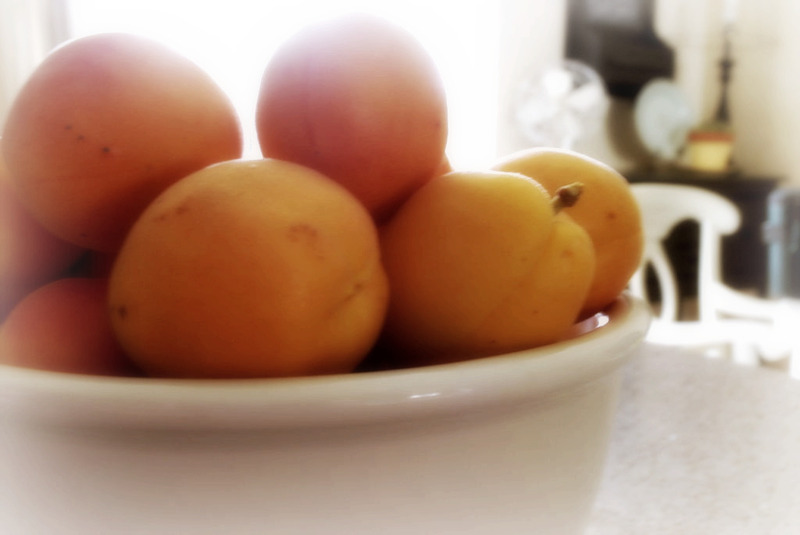 I can remember eating apricots so greedily from a tree in my Grams yard when I was a kid. Oh, delicious! Your salad looks super yum. No one in my house eats salad but me, and I just might make it anyway! I would die to have apricot trees in my yard. I love them so much and it's by far my favorite flavor of jam. The salad looks amazing. Oh, I wished we had apricot trees here. Years ago, we attended a wedding where the bride's family grew apricots and we had the fresh and delicious fruit straight from the trees. Your salad looks yummy! I just bought peaches at the farmer's market this morning...I'll make a switch for apricots and put that salad on the menu this week. Looks delish!